Jayne began her professional career as an educator, receiving a Bachelor of Education from the University of Western Sydney. After spending several years in the education system, Jayne made the jump to dental practice management.Jayne served as a Practice Manager for a renowned dentist in Sydney for more than 25 years, having the opportunity to learn first hand what works when it comes to building and maintaining patient relationships, how to convert leads over the phone, and most importantly — what it takes to reach your practice goals. 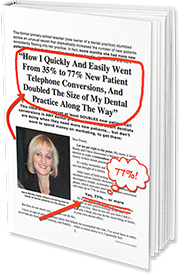 As the CEO and Founder of Dental Phone Excellence, Jayne strives to help practices convert more calls into appointments, reduce cancelled appointments and help nurture effective patient communication that will result in increased profitability for your practice. Her past experience as an educator combined with her passion for practice management gives her a unique set of skills that allows your team to fully understand and take advantage of the tools she presents. Jayne would love to speak with you about how her training programs can be used to positively impact your bottom line. Contact Jayne to book your session today.